installation and content development. In other words, we take care of everything, so you can lean back and watch the magic and results unfold. 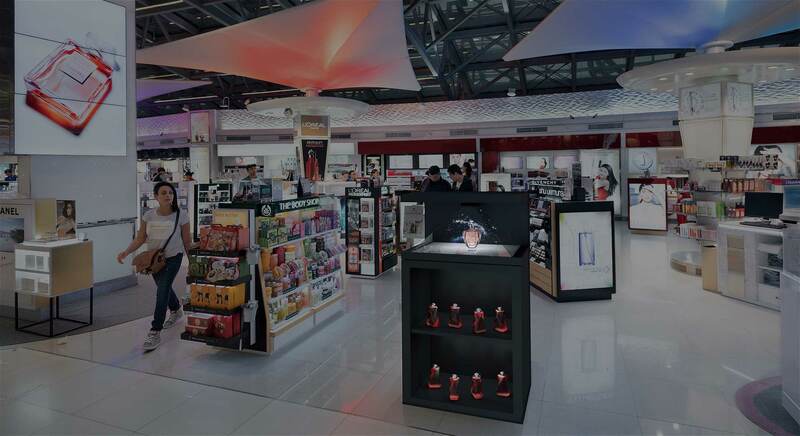 We know that implementing new technology in retail isn’t always a straight-forward process, so MaaS is specifically designed to make it easy and hassle-free for you to upgrade your retail locations with mixed reality experiences. Derived from the aesthetic shape of a diamond, this new type of holographic display elegantly glorifies your product in the most visually impressive way. Designed and developed in collaboration with Danish designer Steffen Schmelling, the Dreamoc Diamond offers our most exquisite Dreamoc experience at this time. 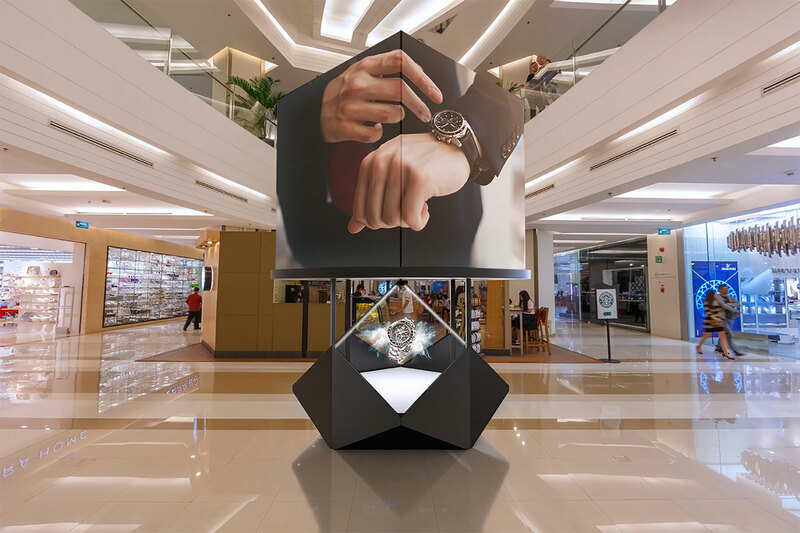 With 4-sided visibility, this is one of our largest mixed reality displays ever built, specifically designed for events and brand activations in shopping malls, trade fairs, and other high-traffic locations. DeepFrame is a revolutionary mixed-reality display that sets new standards by merging the real and virtual world, to produce visualizations where physical and digital elements blend in real-time. 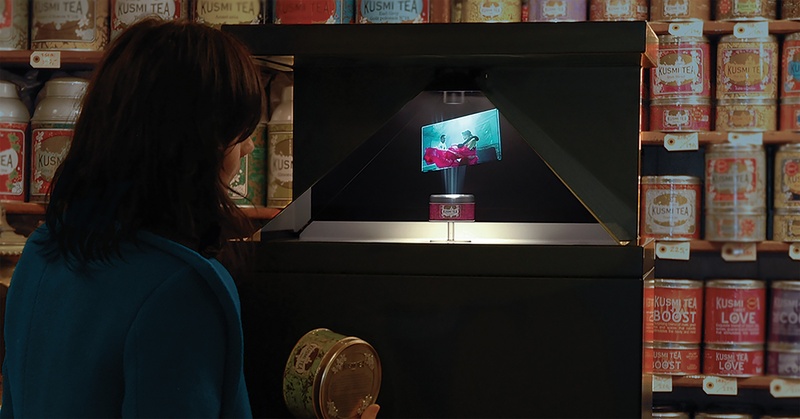 By layering augmented digital content over an actual physical space, DeepFrame transforms our surroundings, creating life-like scenarios you and the environment around them can see, experience and interact with. Our famous holographic display with the characteristic pyramid shaped optics. The HD3.2 is built in every detail to deliver a never stream of ending of attention-grabbing performance. Its size makes it perfect for any in-store activity, mounted on the stand or built-in as an integral part of your store concept. 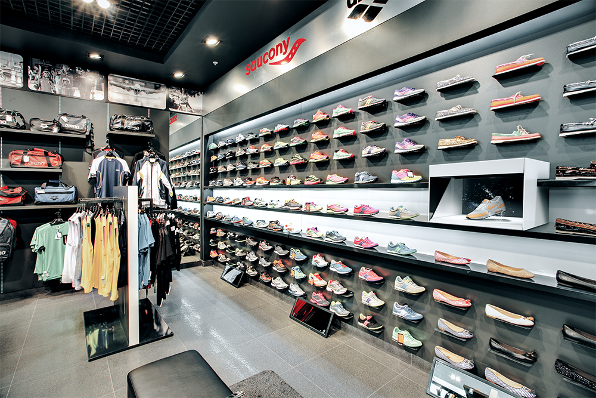 A simple one-sided display designed to fit directly into shelf spaces, window installations or other commercial environments. Stand-alone or part of a synchronized series, the POP3 is destined to make a visual impact. 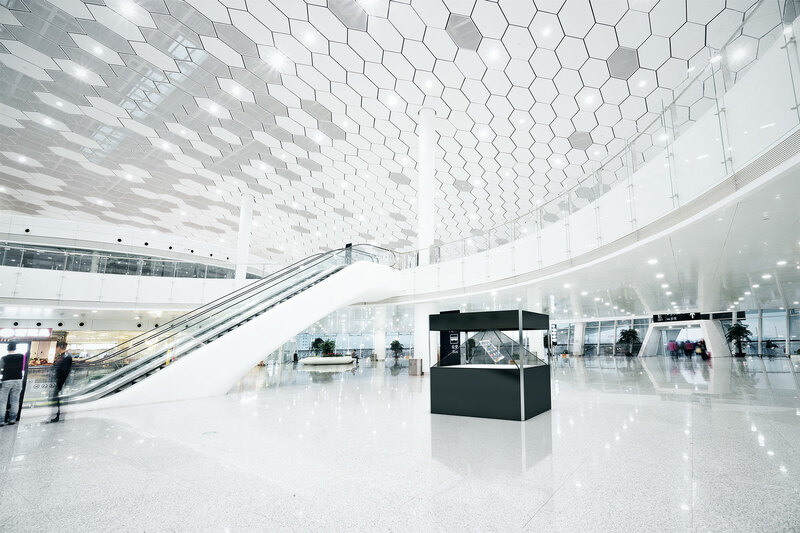 An ideal solution for bigger spaces such as retail focal points, hotel lobbies or events. It is perfect for larger areas where you want to make a big impression on passers-by and have them stop and pay attention to your brand and product. 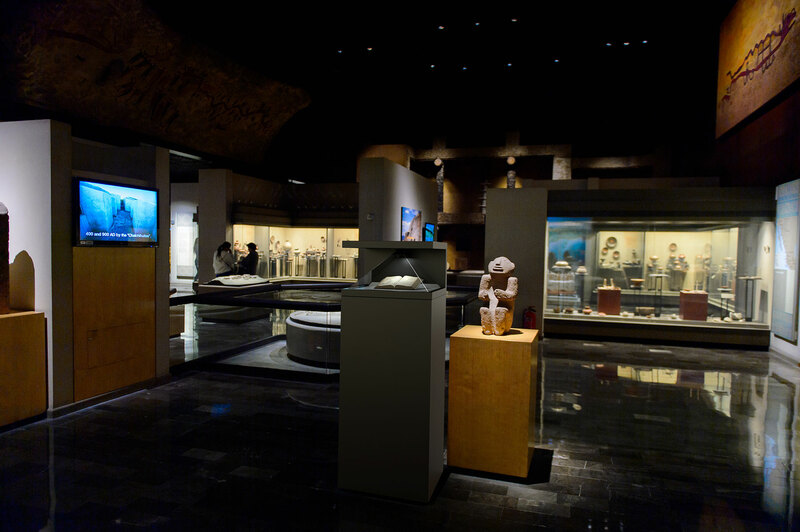 Our largest display for creating experiences in large environments such as shopping malls, museums and busy trade fairs. With full 4-sided visibility the XXL3 display gives the viewers a chance to be dazzled from all viewing angles. The Dreamoc Play app adds an extra layer of experience to your display, as it allows the viewers to change the holographic content with the swipe of a finger. The app is available for free with the Realfiction user interface, but you can also download the pro version that lets you customize your own design and create a completely branded experience.